On behalf of Wikimedia Foundation’s Global Reach Team, we would like to invite all the South Asian Wikimedia communities to our office hours to discuss our work in the region. We plan to hold these office hours at regular intervals. FYI, office hours for South East Asia and Central Asia/Eastern Europe will be held separately; given the size of communities, we needed to break down the regions. Please feel free to add your questions, comments, and expectations in the Etherpad document shared above. You can also reach out to sgupta@wikimedia.org and rayyakkannu@wikimedia.org for any clarification. Please help us translate and share this invitation in community social media channels to spread the word. We thank everyone for participating in the Office hours with WMF's Global Reach team. Meeting notes can be found here. You can also watch the YouTube recording here. It gives us great pleasure to inform that the Train-the-Trainer (TTT) 2017 programme organised by CIS-A2K is going to be held from 20-22 February 2017. Train the Trainer or TTT is a residential training program. The program attempts to groom leadership skills among the Indian Wikimedia community members. Earlier TTT have been conducted in 2013, 2015 and 2016. We are glad to inform that MediaWiki Training or MWT 2017 is going to be conducted between 24-26 February 2017 at Bangalore. MWT is a residential training workshop that attempts to groom technical leadership skills among the Indian Wikimedia community members. We invite active Indian Wikimedia community members to participate in this workshop. Please find details about this event here. Greetings from Wikimedia India! Wiki Loves Monuments in India is an upcoming photo competition, part of the bigger Wiki Loves Monuments 2017. We welcome you all to be part of it, as participants and as volunteers. The aim of the contest is to ask the general public—readers and users of Wikipedia, photographers, hobbyists, etc.—to take pictures of cultural heritage monuments and upload them to Wikimedia Commons for use on Wikipedia and its sister projects. This in turn would lead to creation of new articles along with development of new articles in Indian languages. Apologies for writing the message in English. Please feel free to translate the message to your language. We are glad to inform you that Asaf Bartov will visit India in the month of September, and will be conducting local workshops on Wikidata and other recent technologies and tools. You might be aware that Asaf is a promoter and trainer of Wikidata, and before and during this year's Wikimania, Indic Wikimedians from two communities requested Asaf to visit India to conduct more Wikidata workshops. The workshop would include extensive Wikidata training, from absolute beginner level through querying and embedding Wikidata in Wikipedia (incl. infoboxes), as well as a general tools demonstration, including Quarry. Additionally, time would be made for general Q&A ("ask me anything") to let people use the opportunity to directly ask a WMF representative anything that they have on their mind. Greeting, on behalf of Wikimedia India, I, Krishna Chaitanya Velaga from the Executive Committee, introduce you to the Featured Wikimedian of the Month for September 2017, Swapnil Karambelkar. Swapnil Karambelkar is one of the most active Wikimedians from the Hindi community. Swapnil hails from Bhopal, Madhya Pradesh, and by profession a Mechanical Engineering, who runs his own firm based on factory automation and education. Swapnil joined Wikipedia in August 2016, through "Wiki Loves Monuments". He initially started off with uploading images to Commons and then moved onto Hindi Wikipedia, contributing to culture and military topics. He also contributes to Hindi Wikibooks and Wikiversity. Soon after, he got extensively involved in various outreach activities. He co-organized "Hindi Wiki Conference" in January 2017, at Bhopal. He delivered various lectures on Wikimedia movement in various institutions like Atal Bihari Hindi University, Sanskrit Sansthanam and NIT Bhopal. Along with Suyash Dwivedi, Swapnil co-organized the first ever regular GLAM project in India at National Museum of Natural Heritage, Bhopal. Swapnil is an account creator on Hindi Wikipedia and is an admin on the beta version on Wikiversity. Swapnil has been instrumental in establishing the first Indic language version of Wikiversity, the Hindi Wikiversity. As asked regarding his motivation to contribute to the Wikimedia movement, Swapnil says, "It is the realization that though there is abundance of knowledge around us, but it is yet untapped and not documented". This Bhubaneswar Heritage Edit-a-thon aims to create, expand, and improve articles related to monuments in the Indian city of Bhubaneswar. Please see the event page here. We invite you to participate in this edit-a-thon, please add your name to this list here. You can find more details about the edit-a-thon and the list of articles to be improved here: here. On behalf of Wikimedia India, I hereby announce the Featured Wikimedian for November 2017. Balaji Jagadesh is one of the top contributors from the Tamil Wikimedia community. Though he started contributing since 2009, he was quite active after his participation in WikiConference India 2011. Initially he started contributing to Tamil Wikipedia, but was later attracted towards Tamil Wikisource, Tamil Wikitionary, and Wikidata. His global contributions count to whooping 2,50,000 edits. He is an admin on Tamil Wikitionary. After his interaction with Mr. Loganathan (User:Info-farmer), Balaji was very much motivated to contribute to Wikimedia projects. He says, "When I was editing in Tamil Wikipedia, I used to translate science articles from English to Tamil. But faced problem in finding equivalent Tamil words. The English to Tamil dictionaries were inadequate. Hence I felt the need to work in the Tamil Wikitionary. After a while there was a collaboration with Tamil Wikisource and Tamil Nadu Government through Tamil Virtual University through 2000 CC0 books were uploaded". 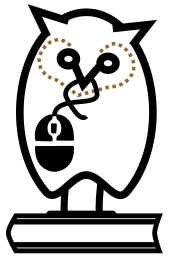 As an active contributor to Wikidata, he says that the vision of Wikimedia movement is, "Imagine a world in which every single human being can freely share in the sum of all knowledge", but with Wikidata we can make it, "Imagine a world in which every single human being and every single machine can freely share in the sum of all knowledge". Apart from regular contributions, he also created templates to Tamil Wikimedia projects, and also maintains Tamil Wikisource's official Twitter handle. Balaji hails from Coimbatore, Tamil Nadu, and is a post-graduate is Physics. He currently works as a Senior Geophysicist in Oil and Natural Gas Corporation Limited (ONGC). Greetings, on behalf of Wikimedia India, I, Krishna Chaitanya Velaga introduce you to the Featured Wikimedian of the Month for December 2017, Hrishikes Sen.
Hrishikes Sen is one of the most active contributors from the Bengali community. Though he started editing English and Bengali Wikipedia in 2007, he had to take a long break due to professional constraints. Later he started working on Bengali Wikisource from 2012, and ever since, he has been an active contributor, and expanded to English Wikisource as well. With more than 45,000 global edits, he is an admin on English Wikisource. As a child, Hrishikes always found reading books as a fascinating task. He says that he finds reference books as interesting as mystery novels. That interest, over years motivated him to contribute to Wikisource. The journey and motivation behind his contributions to Wikisource can be read from a post on WMF's blog, Why I contribute to Wikisource?. He says that till date he's been only active online, but he plans to do outreach in the coming future. He hopes that attending the 10th Anniversary Celebratory Workshop of Bengali Wikisource in Kolkata on 10 December may be a harbinger to his future offline activities. Hrishikes believes that Wikisource will one day emerge as of the top digital libraries in the world, and says that as a store-house for primary and secondary source materials for Wikipedia, the importance of Wikisource is steadily becoming invaluable. Much of his time, Hrishikes spends working around Indian works, with a special focus on the works of Bankim Chandra Chattopadhyay, Jagadish Chandra Bose, and Rabindranath Tagore. Apart from being a proofreader, he uploaded more than 750 books spreading over five languages to Wikimedia Commons. Hrishikes hails from Kolkata, but is presently based in Lucknow. By profession, he is a doctor serving in paramilitary forces. To his Bengali friends, he welcomes them to contribute to Bengali Wikisource which has more than 676,000 that have completed Optical Character Recognition and are waiting to be proofread. What is TTT? Train the Trainer or TTT is a residential training program. The program attempts to groom leadership skills among the Indian Wikimedia community (including English) members. Earlier TTT have been conducted in 2013, 2015, 2016 and 2017. Anyone who has already participated in an earlier iteration of TTT, can not apply. We are extremely delighted to inform that the Wikimedia Foundation and CIS-A2K have come together in a partnership with Google to launch a pilot project Supporting Indian Language Wikipedias Program to address local online knowledge content gaps in India. In order to engage and support active Wikipedia volunteers to produce valuable new content in local Indian languages, we are conducting a needs assessment survey. The aim of this survey is to understand the needs of the Indic Wikimedia community and ascertaining their infrastructure requirements that we can fulfill during the course of this project. Please help us by participating in the survey here. We are happy to inform you that a national level Wikidata editing campaign "IMLD-ODD 2018 Wikidata India Edit-a-thon" on content related to India is being organized from from 21 February 2018 to 3 March 2018. This edit-a-thon marks International Mother Language Day and Open Data Day. Please learn more about this event: here. Please consider participating in the event, by joining here. You may get a list of suggested items to work on here. Wikigraphists Bootcamp (2018 India) to be tentatively held in the last weekend of September 2018. This is going to be a three-day training workshop to equip the participants with the skills to create illustrations and digital drawings in SVG format, using software like Inkscape. Active Wikimedians from India contributing to any Indic language Wikimedia projects. At least 1,500 global edits till 30 May 2018. At least 500 edits to home-Wikipedia (excluding User-space). Please apply at the following link before 16th June 2018: Wikigraphists Bootcamp (2018 India) Scholarships.